How can we talk about physics-based UIs and panels and bubbles that can be flung across the screen if we’re sitting around looking at static mocks? (Hint: we can’t.) It’s no secret that many of us on the Facebook Design team are avid users of QuartzComposer, a visual prototyping tool that lets you create hi-fidelity demos that look and feel like exactly what you want the end product to be. We’ve given a few talks on QC in the past, and its presence at Facebook (introduced by Mike Matas a few years back) has changed the way we design. Not only does QC make working with engineers much easier, it’s also incredibly effective at telling the story of a design. When you see a live, polished, interactable demo, you can instantly understand how something is meant to work and feel, in a way that words or long descriptions or wireframes will never be able to achieve. And that leads to better feedback, and better iterations, and ultimately a better end product. When you are working on something for which the interactions matter so greatly—in this case, a gesture-rich, heavily physics-based ui—anything less simply will not do. 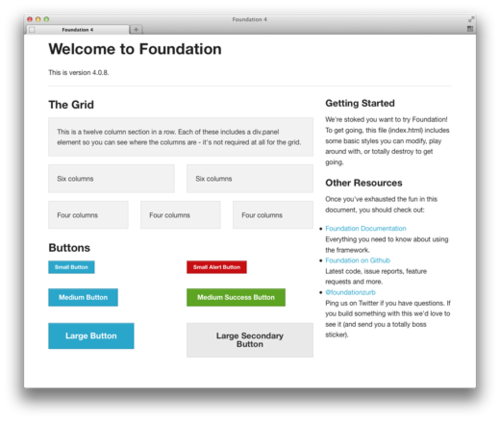 “But if I was starting from scratch and trying to decide which one to use today, I’d probably discount Skeleton because Bootstrap and Foundation both provide so many useful extras. Using the provided components is much faster than reinventing the wheel and doing it yourself. This seems to be a nice blend of physical and digital. 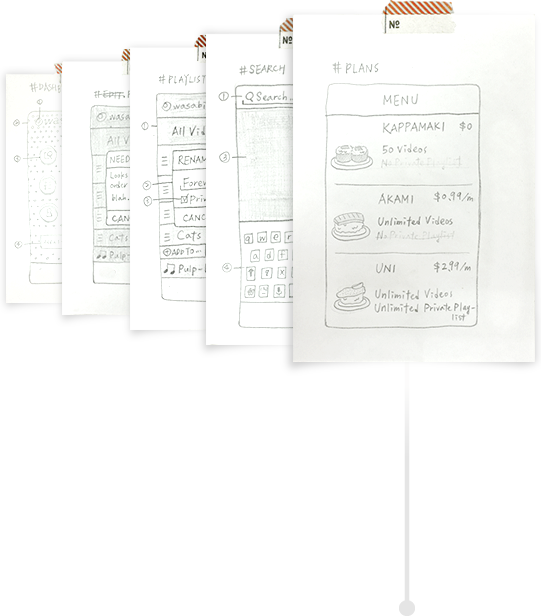 Sketch on paper, make a photo, create a storyboard in the app.